Your upcoming movie The Assassin's Apprentice: Silbadores of the Canary Islands - in a few words, what is it about? The Assassin�s Apprentice: Silbadores of the Canary Islands, is a sequel to the award-winning The Assassin's Apprentice, both of which feature a young assassin-in-training named Kaylee (Tarah Paige) and her various triumphs and mishaps. 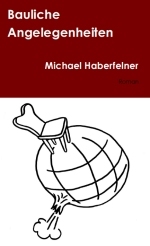 In this sequel, Kaylee, and her drone sidekick Freerunner, must protect a secret society of Canary Island Silbadors, who work with her organization TAA Corp., from a deadly counter-assassin (Gary Graham). How closely will The Assassin's Apprentice: Silbadores of the Canary Islands follow the original The Assassin's Apprentice, and was the first one made with a sequel in mind from the get-go? 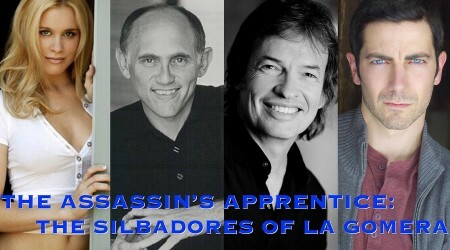 The Assassin�s Apprentice: Silbadores of the Canary Islands will closely follow the original role of Kaylee of The Assassin's Apprentice, and will introduce new characters including a weapons expert (Armin Shimerman), a counter-assassin (Gary Graham) and a TAA Corp. assassin (Ryan T. Husk). What can you tell us about The Assassin's Apprentice: Silbadores of the Canary Islands' writer Paul Hickman, and what's your collaboration like? I met Paul Hickman during the production of my feature-length film Occupants, and we have been collaborating ever since on a number of projects. When he asked me to be the director of The Assassin's Apprentice, I of course said yes. Judging from the title, you're going to film at least part of The Assassin's Apprentice: Silbadores of the Canary Islands on the Canary Islands - so what do you think are the advantages but maybe also challenges filming there? The advantage of filming in the Canary Islands is authenticity. In the sequel, we will be using actual Silbadores � practitioners of the ancient whistling language of Silbo Gomero � as well as the traditional landscapes in which Silbadores have lived for many generations. Of course, it is more difficult and expensive to film abroad, but we feel that the authenticity factor is worth it. What have you planned for The Assassin's Apprentice: Silbadores of the Canary Islands on the action and stunts side of things? Tarah Paige, our lead actor, is an accomplished stunt performer and former nationally-ranked gymnast. There are plenty of new action and stunts planned for Tarah as she defends the Silbadors from the counter-assassin. What can you tell us about the film's projected overall look and feel? The look and feel will be similar to that of The Assassin's Apprentice, but with additional SciFi elements. From what I know, The Assassin's Apprentice: Silbadores of the Canary Islands will have quite a stellar cast - so do talk about the movie's key actors for a bit! Continuing with our tradition of hiring some of our favorite Star Trek actors (Robert Picardo, Marina Sirtis) for our first film, we reached out to veteran actors Armin Shimerman (Star Trek: Deep Space Nine, Buffy the Vampire Slayer) and Gary Graham (Star Trek: Enterprise, Alien Nation) for this sequel. Both are superb actors, and we look forward to working with them. You're currently running a fundraiser for The Assassin's Apprentice: Silbadores of the Canary Islands - so what can you tell us about your campaign? The campaign is going well, and as of September 20, 2018 we have reached 86% of our funding goal with 24 days to go. Once we reach our funding goals, expect some stretch goals to fund even more action, stunts, special effects and location shots! Once the budget's in place, what's the schedule? And any idea when and where the film might be released, however tentatively? We are hoping to begin shooting on Gran Canaria in November or December, and continue shooting in Los Angeles in January or February. 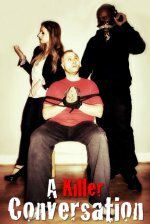 Will there ever be another The Assassin's Apprentice-movie? And/or other future projects you'd like to share? 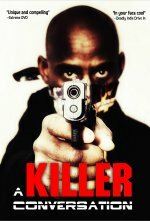 We currently have a feature-length script for a movie tentatively entitled Assassins: The Last Mark. A budget has been prepared, and the producers are currently seeking funding. Your/your movie's website, Kickstarter, Facebook, whatever else? Nothing other than to extend our sincerest thanks and appreciation to our many fans and supporters. Go Team Assassins!